I've been a bit remiss in writing about some of the theatrical releases I've seen, but given the overall quality of mainstream cinema this summer that's to be expected. Between all of the 3D fluff, "pre-sold property" dreck, and mediocre indies, there just hasn't been much worth writing about at the cinema (this weekend yields more promising movies here in Atlanta). But if only to share, here are some capsule reviews for a mixed bag of movies... and a small tribute, after the jump. 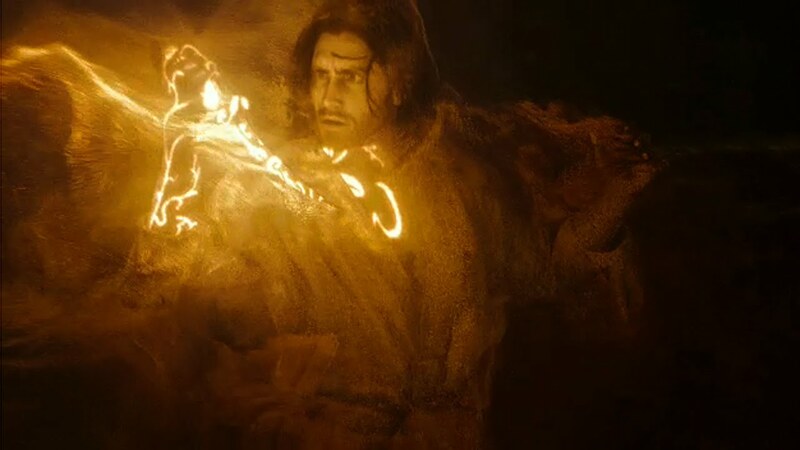 Based on a video game I have barely any knowledge of, Prince of Persia: The Sands of Time (2010) is a surprisingly exciting swashbuckler which generally improves on its original template of the Bruckheimer/Verbinski Pirates of the Caribbean. Its two leads, Jake Gyllenhaal (Brokeback Mountain) and Gemma Arterton (Clash of the Titans) spend too much time bickering and bantering through the deserts of ancient Araby in a trite romantic comedy style which hasn't felt fresh since The Philadelphia Story (1940). The majority of the credit for audience engagement goes to director Mike Newell (Donnie Brasco) for his energetic direction. Newell really gives the action some much needed zip without sacrificing coherence, a quality I'm obligated to point out these days due to the prevalence of so many confusing actioners. Some amiable (and shockingly understated) supporting performances from notorious scenery-crunchers Ben Kingsley and Alfred Molina take this otherwise hollow summer film a step above the merely palatable. I wish I could say the same for Jonah Hex (2010), a supernatural-tinged western based on the DC Comics cult favorite. Jimmy Hayward makes the directing leap from animated (the wonderful Horton Hears a Who) to live-action, and fails to hold on to the reins tightly enough (no pun intended). Hex has the feel of a film with too many market research fingerprints all over it, striving to be all things to all people. A waxy-faced Megan Fox (her complexion looks digitally corrected) is there for the undersexed hormonal contingent; Michael Fassbender (Inglourious Basterds) is there for the cinema "street cred" set; and Oscar nominee Josh Brolin (No Country for Old Men) is woefully miscast as bounty hunter Hex: too short, stocky, and with a Karl Childers vocal inflection (the comic book cowboy was always meant to be a darker takeoff on the amoral Eastwood "Man with No Name" persona). More Wild Wild West than Blood Meridian, or even Lonesome Dove (to name a few of the comic book's literary cohorts), Jonah Hex is the longest 81 minutes I've ever had to sit through a movie. To be forced to see the same stock shot of Brolin riding a horse ad infinitum only makes it more torturous. The Girl with the Dragon Tattoo is one of the more popular offerings from overseas of recent times. The first of a series (I'll be reviewing its sequel just before it opens next week) based on a trilogy of Swedish crime novels by the late Stieg Larsson (which are also tearing up the charts), its predictable serial killer plot benefits mightily from the well played chemistry between the two mismatched members of its amateur detective duo. All of the secrecy surrounding the sinister Vanger family and their involvement with the killings is punctured quite easily by the viewer. 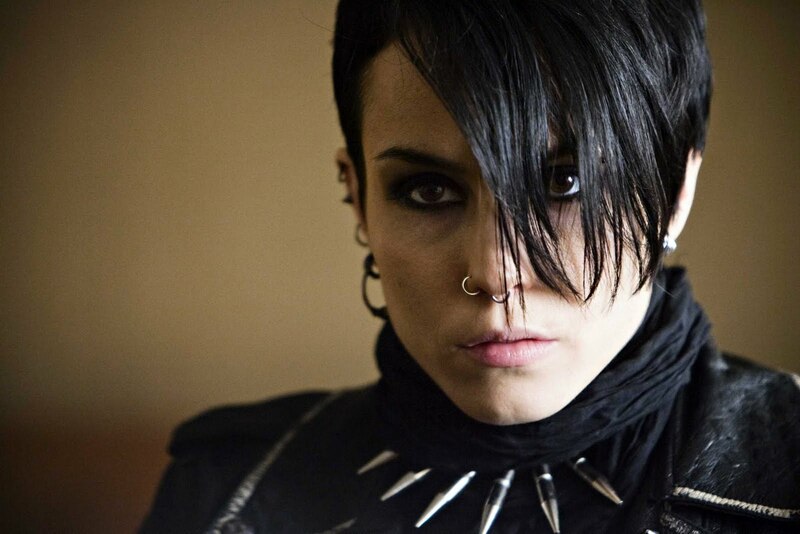 The real enigma surrounds the unusual romance of the mind between street-tough hacker punk Lisbeth Salander (Noomi Rapace, a real find), the quirky Spock to disgraced journalist Mikael Blomkvist's Kirk. The distinctly drawn characters are so intriguing, it's a miracle no one is trying to milk them in a TV series somewhere. No worries, though. Hollywood is already mounting an English-language remake with David Fincher (Zodiac) signed to direct Daniel Craig (Casino Royale) taking over for Michael Nyqvist as Blomkvist. I'm certain the quality of the redo will hinge on who is cast as the mysterious Salander. Buzz: You gotta do something. 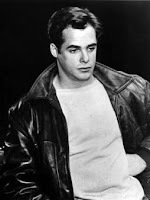 Don't you?It is sad Allen's contribution to the film is often overshadowed by those of the movie's famous triumvirate, Dean, Mineo, and Wood, who had the benefit of more screen time. In my mind, his exchange with Dean is central to the film. One can get a better grip on his range in a film like Darby's Rangers (1958), where he has a small comic role opposite James Garner. But even then, Allen was mostly overlooked. Perhaps this is why he moved to television directing, where he made a name himself helming such famous shows as The Rockford Files, Hill Street Blues, and Murder, She Wrote. He even had a hand in shaping the lead characters of Star Trek: The Next Generation when he directed its pilot. He died June 27th at the age of 75.